New pre-viz footage used during the production of 2017’s Justice League has been released and it includes an extended fight scene between Mera (Amber Heard) and Steppenwolf, including an awesome moment in which Mera dehydrates the DC the villain. In the months since Justice League’s release in theaters, various bits of footage and production art have been released that show Zack Snyder’s original vision for the film. Extended fight scenes and deleted plot threads have surfaced, only making the desire for the coveted Justice League: Snyder Cut that much more anticipated. Sadly, a Snyder Cut hasn’t been announced and it isn’t like it will be any time soon, but that doesn’t mean the unused designs and footage will stop coming. A new video was recently released that features plenty of moments from Justice League in pre-viz format, played alongside the live-action versions. 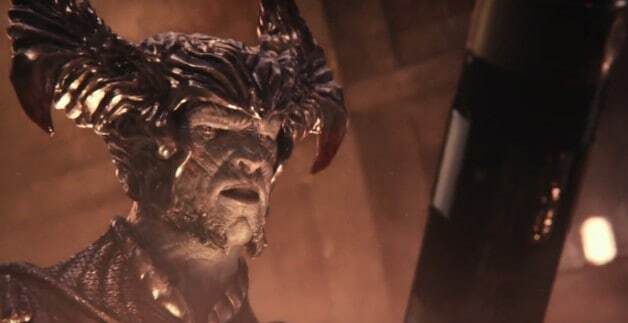 Some of the scenes include footage not included in the final cut of the film, including one particularly awesome moment between Mera and the film’s villain Steppenwolf. At the 20-second mark in the video below, the Mera fight begins and at the 42-second mark, there is one awesome move that Mera pulls that never made it into the theatrical cut of Justice League. Check out the deleted moment in the video below. At the 42-second mark, you can see Mera using her powers to dehydrate Steppenwolf to the point of being a dried up husk of his former self. As seen in the footage though, this doesn’t exactly put a stop to Steppenwolf. Justice League seemed to skip out on iconic fight moments like this to keep up a faster pace so it could fit the mandated under-2 hours runtime given by the studio once Joss Whedon took over the project. We’ll be sure to keep you updated on any more information regarding Zack Snyder’s original vision for Justice League as soon as it becomes available. What do you think of the awesome moment in the video above? Do you wish it could have reached the big screen or would it not have made much of a difference for you? Let us know your thoughts in the comments below! Umm…maybe it was removed because Amber Heard is a terrible actress?